We are in the midst of a revolution. A chocolate revolution. From Brooklyn to Budapest, Cleethorpes to Copenhagen and San Francisco to Saigon, passionate “bean-to-bar” chocolate makers are creating tantalizingly delicious chocolate bars. They source premium beans directly from small farmers who value provenance and quality. They manufacture in small batches and maintain high standards. They win prizes galore. Their bars are varied and sublimely flavourful. When you taste one there is no going back. But finding these bars isn’t easy. That’s why set up Cocoa Runners. We love these chocolate bars. We run around the world discovering these makers and farmers. And then we send them to you. If you love great chocolate, please join the club! We want chocolate lovers to have a simple way to discover, savour and enjoy the great chocolate these pioneers are creating. As a member, every month we will send you four chocolate bars delivered in a box specially designed to fit through your letterbox (and in sufficiently non-descript outer packaging that we hope it won’t be “borrowed” by envious neighbours). These bars are carefully chosen around themes which showcase latest developments and the characteristics of “bean-to-bar” chocolate. We will get “under the wrapper” with tasting cards for each bar that bring you the stories behind the chocolate, makers and growers. As a member you’ll also receive special offers in our library of chocolate where you can rate and buy more of what you’ve tasted, get access to exclusive offers (tours, tasting events, special packs) and receive personalised recommendations. Just as the way grapes are grown and nurtured is critical for the quality of great wine, the same is true for cocoa beans and chocolate. Soil conditions, climate and the care and attention of the farmers and chocolate makers all impact the final product. The best chocolate often comes from chocolate makers who have a direct relationship with the farmers they buy from. This direct trade also cuts out middlemen and ensures higher payments to cocoa farmers in some of the world’s poorest countries. The same care and attention to detail also characterises the makers who source these beans and create the bars. Whether they’re working out of a small kitchen or a dedicated factory, all these makers are united in the care and attention they make to creating their chocolate. In the last year, we have tried and rated well over five hundred different bars (and yes, mostly that’s been great fun). From this, we’ve selected the very best for our chocolate library and four or five bars a month for our themed monthly boxes (that’s been a lot harder). But we aren’t stopping there. We’re constantly seeking out new bars and chocolate makers, so if you know a bean-to-bar chocolate maker you’d like to see on Cocoa Runners, please get in touch. Just as can recommend wine when you know someone’s tastes, we can recommend chocolate we think you’ll love. Of course, there’s much more to recommending wine than asking “red or white?”, and we think there’s more to recommending chocolate than simply “milk or dark?”. For every bar, we’ve analysed and profiled its texture, flavour notes and intensity. By using these profiles and knowing what you’ve enjoyed in the past, we can recommend other bars for you to try. You can find out more about our recommendations process here. We want your chocolate to reach you in perfect condition with minimal fuss. To that end we’ve designed a special slimline box that fits through your letterbox and we ship on Mondays or Tuesdays so that the chocolate doesn’t get stuck in a sorting office over a weekend. Click here to find out more about how your chocolate is delivered. So, if you love great chocolate, join the club! We run around the world searching for the world’s best artisan chocolate bars. The beans are typically grown in rainforest areas, close to the equator. In some instances the chocolate is made at cocoa origin. But most often the beans are shipped out of the country of cocoa cultivation to a manufacturer, and these manufacturers are located all over the world — from Woodstock to Warsaw and Brooklyn to Budapest. How many different chocolate bars do you stock? At the moment we stock over 800 individual bars from over 80 small batch makers around the world. We’ve sampled around literally thousands of bars in our search for the very best craft chocolate the world has to offer. We’re constantly looking for new bars, so do send us any recommendations you might have to team@cocoarunners.com. Is your chocolate certified Fair Trade? Some is, but most of the chocolate we feature goes well beyond Fair Trade. Many artisan chocolate makers source their cocoa beans directly from the farmers and farmer co-operatives, cutting out the middlemen and ensuring a significantly higher price (more than the Fair Trade premium) for the farmer. You can find out more about some makers who are making a big difference beyond the Fair Trade certification here. How long will my chocolate keep? When stored correctly, dark chocolate is a bit like red wine; the flavours change with age but doesn’t “go off”. At the same time you do need to keep your chocolate properly – that is to say away from extreme hot and cold temperatures (including a fridge – these are too cold, see below), away from sunlight and in sealed bags. Milk and white chocolate, because of the dairy content doesn’t keep as well – please check the individual bars for expiry dates (although generally people can’t resist eating the bars long enough for this to be a problem!). Chocolate should be stored in a cool, dry place away from strong aromas and temperature variations. You should never store your chocolate in the fridge, as that will cause blooming (condensation on the surface, drawing sugar crystals out of the chocolate). Similarly if the chocolate is allowed to get too warm, cocoa butter will come to the surface. If possible, keep your chocolate wrapped and store it between 16C and 18C, but for most purposes room temperature is fine. Will my chocolate arrive in perfect condition? This is our only aim. More often than not your bars will arrive with you promptly and in their intended condition. We pack our chocolate bars with our utmost care, and we make sure our makers do the same when delivering their bars to our warehouse. It has become evident to us that once the bars leave our warehouse, sometimes the deliveries can be subject to slight rough-handling, which may cause the bars to break. Over the slightly hotter months, as during shipping we unfortunately have no control over the temperatures nor storage conditions, your chocolate bars may bloom. Please be assured that your chocolate is perfectly fine to eat. However please do get in touch if you have any concerns. What will the Best Before date be on my chocolate bar? Our policy for dark bars is that we won’t ship them unless they have at least two week’s shelf life, for milk and white bars we won’t ship them unless they have at least one month’s shelf life. If you have received a bar with a best before of under two weeks – or a month for milk and white bars – or even if you’ve unfortunately received a bar that is past its best before, please do write into us. Whilst this should not happen and we actively try to avoid it, we do understand that it is very possible for bars to slip through in our warehouse sorting. When we order bars from our chocolate makers, they must come with at least a 12 months shelf life. If you have any concerns, we will be more than happy to provide you with the Best Before date on your bars prior to purchase. However, please be assured that Best Before does not equate to Use By, and particularly for dark bars. Why do you want me to rate and review my bars? We’d love to know what you think of the chocolate! We can then make sure we are only sending our members chocolate we know they’re going to enjoy. Also, by telling us what you like, we can much more accurately predict what other chocolate you might like. Over several years (and in detail) we have documented the taste profile of all our bars, so when you tell us you like a bar we can recommend additional bars that have a similar characteristics. 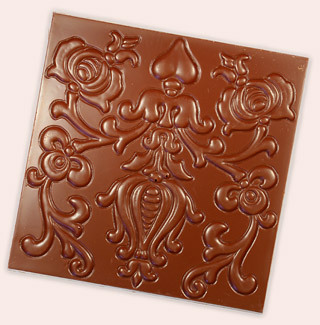 I’m a chocolate maker and would like Cocoa Runners to sell my bars, what are the next steps? We’re very keen to expand our chocolate library and support as many like-minded, bean to bar chocolate makers as we can! We’d love to hear from you but first there are a few things to make a note of… we have a strong focus on bean to bar craft chocolate. What this means is that we want to make sure that you, as a chocolate maker, can trace every step of your processing right back to the bean. It’s this traceability that is really important to us and your ability to really showcase the flavour profiles of the beans that you’re using. We also favour non-flavoured bars and if you make “raw” chocolate, we’d like to understand your definition of the term “raw”. Unroasted chocolate is great but we’re not convinced that chocolate at the fermenting and drying stages can remain below 42-45 degrees to be fully classified as “raw”. If your chocolate fits the bill or if you have any questions about selling your chocolate through Cocoa Runners please contact us at team@cocoarunners.com using the subject line “new chocolate maker” – this way we’ll make sure that the appropriate person gets back to you as soon as possible.